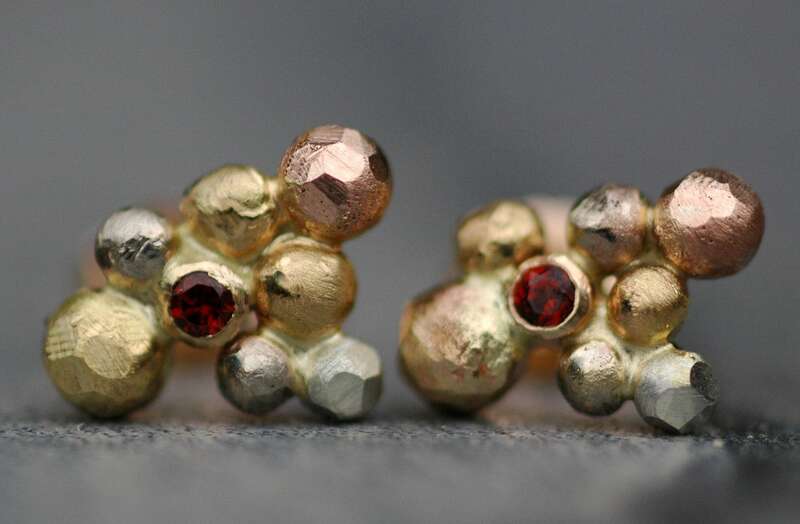 These earrings are ready to ship from my Vancouver, Canada studio. 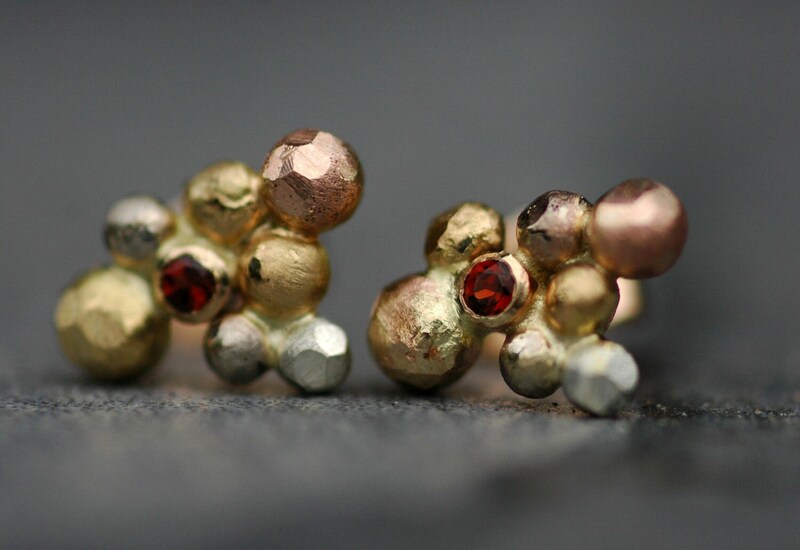 I bezel set a little 1.7mm round brilliant cut spessartine garnets into each of these earrings. Spessartine garnets are a gorgeous orange-red colour. Garnets are the birthstone of January. 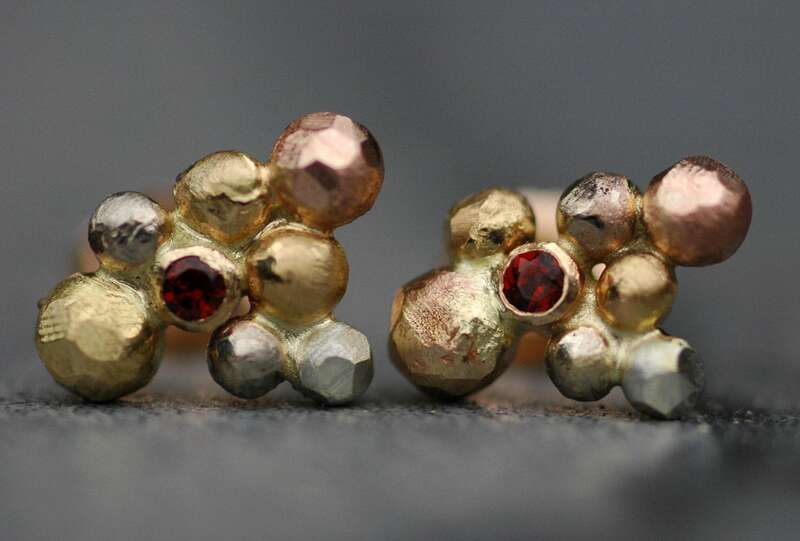 The earrings are around 10mm in length, and are quite light- these should not fall forward in your ears when worn. 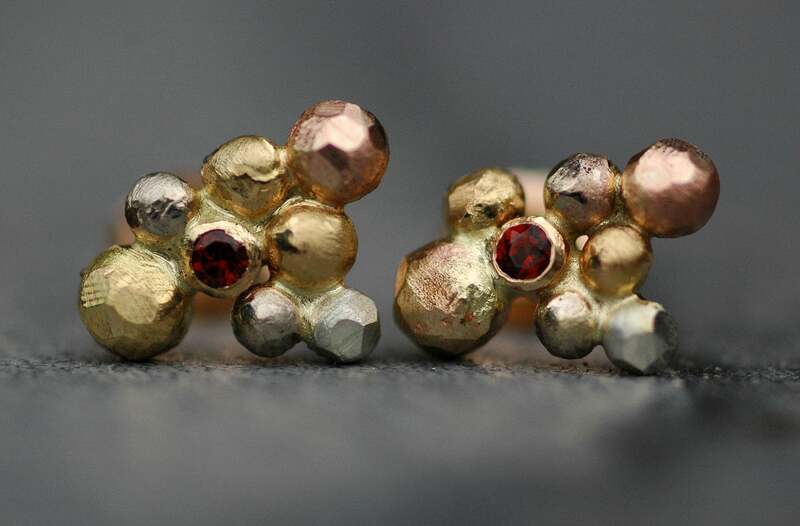 If you like the style of the earring, but prefer gold all of one colour, or more ,gemstones, or a different size of stone/earring, please get in touch for a quote on your custom idea. FREE SHIPPING: Specimental provides free Fed Ex Ground shipping in Canada and the USA. This takes 4-10 business days, has a tracking number, signature delivery confirmation, and basic insurance coverage value of $100. If you need two business day (to most locations, but some restrictions apply) delivery, please choose this shipping upgrade during checkout (Canada and USA only). .